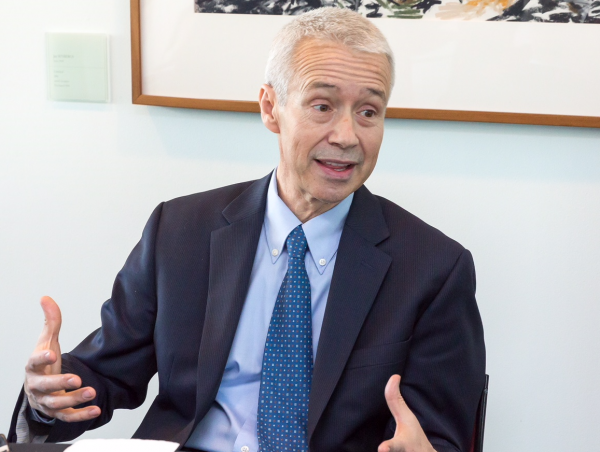 BiotechDispatch sat down with Joaquin Duato, global head of the Johnson & Johnson pharmaceuticals division, Janssen, during his current visit to Australia. The discussion focused on Australia's strengths and weaknesses when it comes to attracting investment, including intellectual property, market access and pricing, as well as frustrations in the US over single-payer systems like the PBS. "Investment will go to areas where you have better protection for intellectual property. So, if you think about Australia in the context of other countries, and you are thinking about investing here, the protections for intellectual property are going to be an important area,” said Mr Duato. The original TPPA text agreed by the twelve countries, including the US, included an ambiguous outcome on data protection for biologics. Australia was considered the country that led the push against inclusion of a mandated 8-12 year data protection period. Mr Duato argues Australia’s position ultimately only hurts local innovation and investment. According to Mr Duato, who until recently was chair of the US-based equivalent of Medicines Australia, PhRMA, like corporate tax levels, intellectual property protections are a reflection of how seriously a country values innovation and a research-based life sciences industry. "If you have a country that is making an effort to improve ways of protecting intellectual property, then you take seriously what those countries say, which is that they want a significant life sciences sector. "If a country is not taking those measures, you really question whether they are serious about creating a strong life sciences sector." On Australia, Mr Duato said Australia is strong in the production of science, and also a place where Johnson & Johnson has done many deals, pointing to a recent partnership with Protagonist Therapeutics with the potential to deliver $1.2 billion to the company founded in 2001 and spun out of the University of Queensland. "On the other side, when it comes to providing strong intellectual property protection or pricing and reimbursement stability, I would say Australia is lacking. "Over the long-term, that is not a good position to create a strong life sciences sector. As a matter of fact, while there is a lot of research in Australia, there are very few Australian companies at a global scale. "You have to question the domestic Australian market and whether it is providing the kind of reward to local companies to grow then jump into other markets." He said if Australian governments are serious about life sciences innovation they have to "walk the talk" about the environment. On pricing, Mr Duato said the real issue in the US is what consumers are being forced to pay. "Actual pharmaceutical prices are flat, like in Australia, but what the patient pays out-of-pocket is coming up. Co-pays are higher than before so, while pharmaceutical prices paid to companies are flat, that is not how consumers are feeling it at the pharmacy counter. "This has become a political issue. Politicians in the US then see what other countries are paying and wonder why they have to pay more than Europe and Australia?" He continued, "The other issue is that, unlike the US, many countries we work in are single payers. In these markets, in order to ensure patient access, we have to give prices that are much lower than in the US. The US strongly believes that means they are subsidising the rest of the world, including countries like Australia. "The current US administration wants to do something, to get lower prices in the US, but also to get other countries to pay more for the innovation." On the question of how, Mr Duato said the issue goes beyond price. "It is not only about price. it is about intellectual property and other regulations that may be against innovation. There are many things the US could do from a trade agreement perspective in addition to price. "On price, the list price may not change in countries like Australia, but the question has to be around policies like mandatory price cuts for patented medicines. "This is why we need to work as an industry, through our associations. We can shape opinions as individual companies but for long-term and meaningful change we have to work as an industry. That is why I am very supportive of us engaging, as Johnson & Johnson, as part of industry. It may never be exactly what we want but eventually and pragmatically it is the most effective way." Mr Duato held meetings with health minister Greg Hunt and prime minister Malcolm Turnbull.